Weddings let out mixed emotions. You are stressed out because of the decoration, flowers, guest lists and receptions but excited for the beginning of a whole new chapter in your life with someone you love. One of the most talked about decoration in weddings is the wedding table centerpieces. It should be eye-catching and elegant. Weddings are always special. It is an event to remember in a woman's and man's life. Everyone takes part in the joyous occasion during the wedding ceremony and the wedding reception. Most weddings are relatively expensive. However, cost should not overshadow the momentous and joyous event of your life. 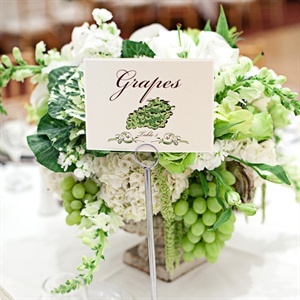 Depending on your theme, you can match the table centerpieces to the theme color or motif. If your theme is fairy tale, you can put set of flowers and butterfly in the table that represent fairies and princesses. You can arrange flowers in a bowl with floating candles to make a beautiful centerpiece. Instead of expensive candle holders, you may want to substitute it clear vases (where you can put the candle in) or wine glasses (make sure it can hold the candle) and arrange them attractively in the wedding table. You can paint pinecones, branches and leaves to your theme, arrange neatly and use them as a centerpiece. This is another inexpensive centerpiece idea. 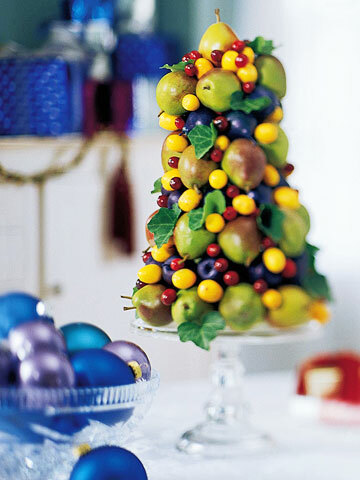 Maybe instead of flowers, you can use fruits as a centerpiece. Vegetables maybe use as centerpieces too. An inexpensive bowl of cupcakes can be a great table centerpiece. Different sizes of boxes and gifts can also be used as centerpieces. 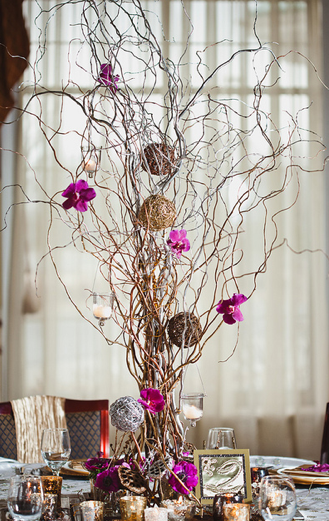 Before you put your masterpiece centerpieces on the reception tables, make you sure you make a mock centerpiece first. Weddings are overwhelming especially for the bride. It would be best if you can ask help from your friends to ease the load especially if the work is intensive. You need to have separate tables for the food, wines, gifts, cake, and wedding table itself. 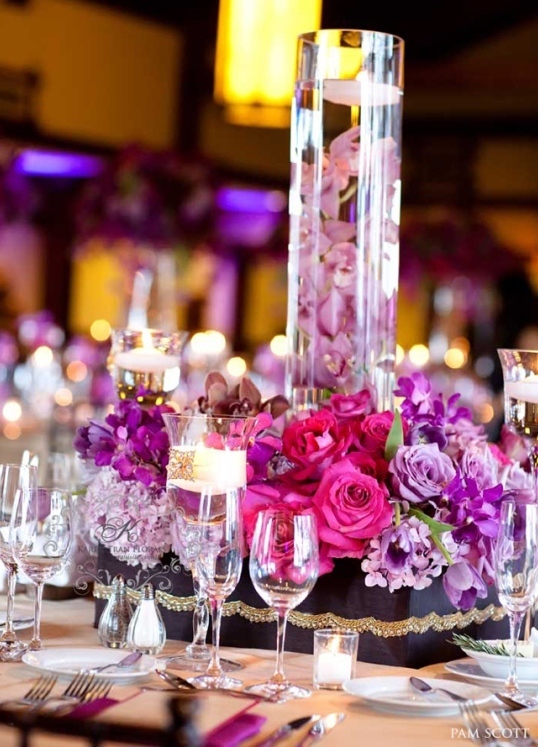 Wedding table centerpiece should also be more vibrant and eye-catching than the other reception tables. This is where the bride and groom sit during the reception. Try to do the reception somewhere where you can incorporate your ideas yet still have room for improvements. You can save in decorations, table centerpieces and flowers if you plan it properly. To save in flowers as centerpieces, you can use artificial flowers and buy cheap vases (preferably with no decorations and clear). In one side, it is suggested to put a live fish as a centerpiece (in a fishbowl, of course). It is definitely not a traditional centerpiece and will sure make your guests have something to talk about. If you think your wedding table centerpiece is not as attractive as you hope, you can make it up with the gifts and giveaways. Customize it with your wedding theme and personalize it. Just remember that with careful planning, you can still have the beautiful wedding table centerpieces you want on a budget.